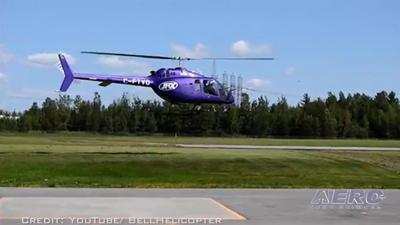 Transport Canada Civil Aviation (TCCA) has granted type certification to Bell Helicopter for the Bell 505 Jet Ranger X. Unveiled in 2013, the new, five-seat helicopter went from concept to a successful first flight in 20 months. Since then, the aircraft has flown more than 1,000 flight hours and undergone rigorous activities to ensure customers have superior handling qualities and payload performance. 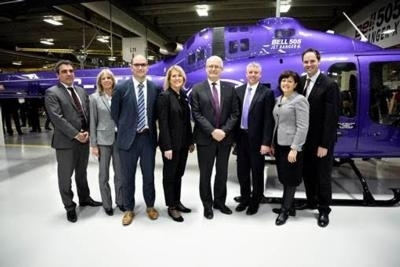 Transport Canada, federal officials and Safran Helicopter Engines joined Bell Helicopter at its Mirabel facility to commemorate the achievement. More than 400 letters of intent worldwide since the initial launch in 2014. The Bell 505 offers the Safran Helicopter Engines Arrius 2R engine that incorporates the dual channel Full Authority Digital Engine Control (FADEC). A fully integrated Garmin G1000H flight deck features dual 10.4-inch displays, which provide critical flight information for crews at a glance. Through Bell Helicopter’s high inertia rotor system, Bell Helicopter has demonstrated throughout the flight test program exceptional autorotation capability that is part of the Jet Ranger legacy. The aircraft has a cruise speed of 125 knots, range of 340 nautical miles and useful load of 1,470 pounds. The Bell Helicopter Training Academy is prepared for entry into service with customer training, and the flight training device and coursework are all on track.